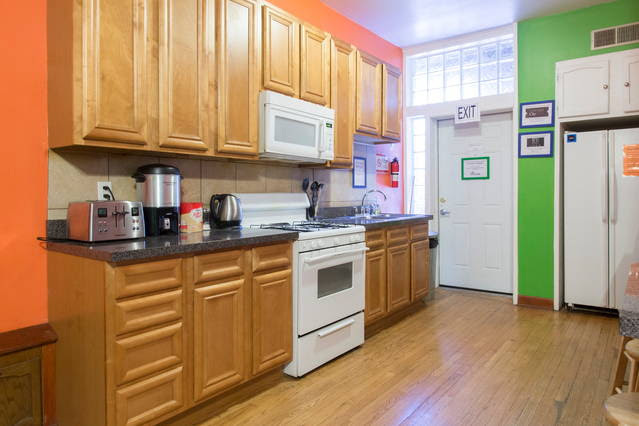 Our kitchen is self catered complete with everything you need to create a delicious meal. Join us at the kitchen table for delicious food and conversation! 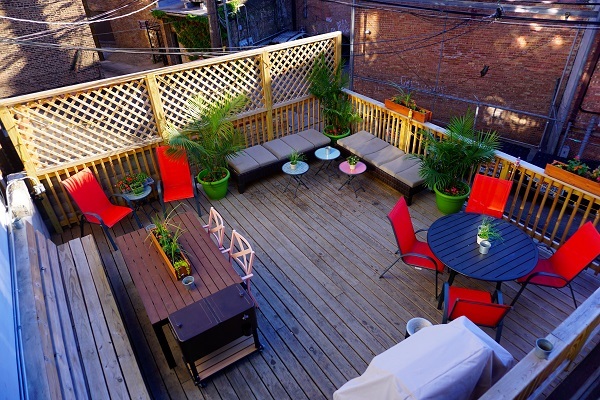 Our outdoor lounge is the perfect place to enjoy summer nights! It is complete with a grill to BBQ! 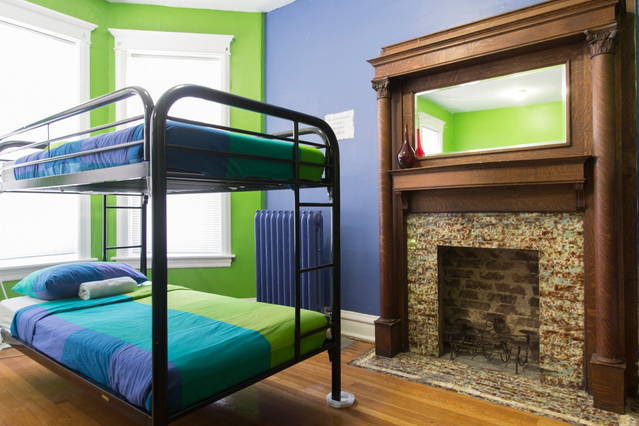 The common room is the perfect place to socialize! We have everything you need to have a great time with your new friends! 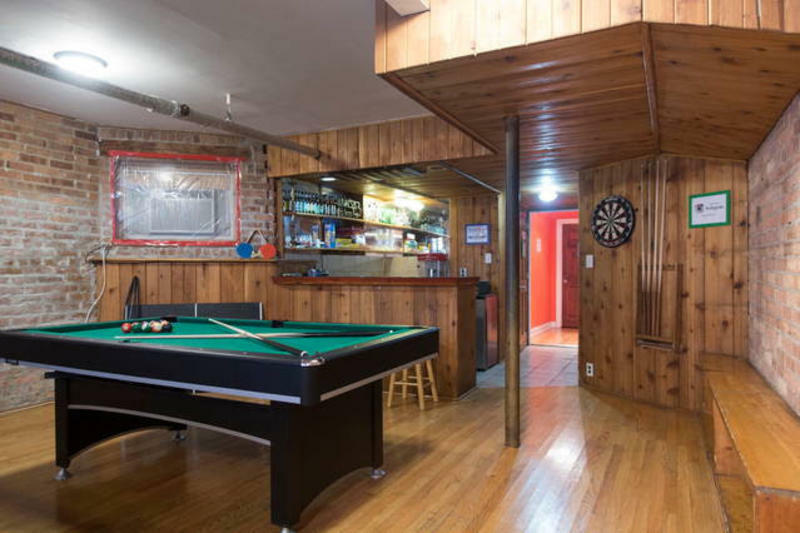 Included is a pool table, ping pong table, foosball, a BYOB bar, large flat screen TV, and tons of games! Our computer room is newly renovated! 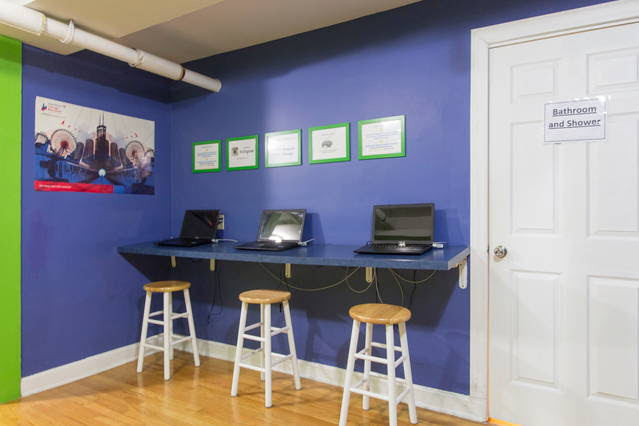 It is the perfect place to get work done at our computer stations. You can also relax on the giant bean bag and read a great book from our free little library! We provide a delicious free breakfast each morning consisting of fresh fruit, toast, pancakes, waffles, tea, and coffee. 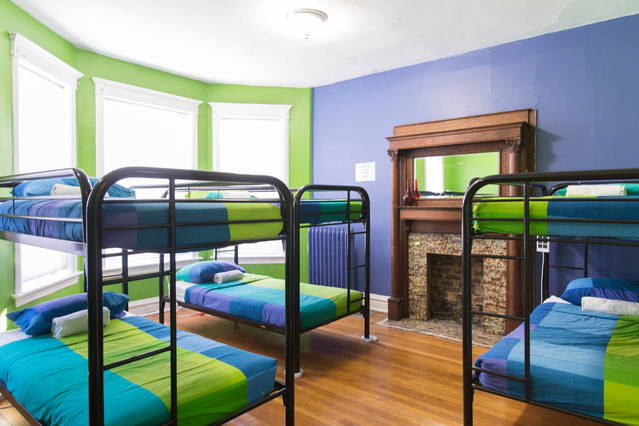 We offer free Wifi throughout the hostel including all bedrooms. 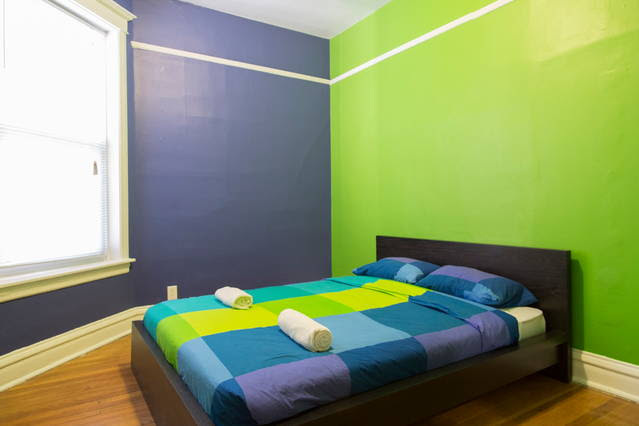 Never be afraid to skype home or upload your photos to Instagram at Wrigley Hostel! 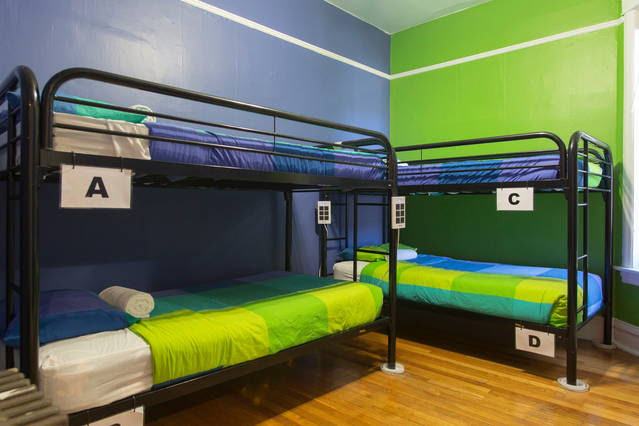 We provide free lockers for you to safely store your belongings. Our lockers fit all sizes of luggage. 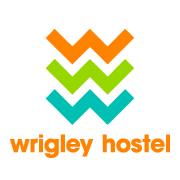 Wrigley Hostel hosts weekly events from Pub Crawls to Movie Nights to St Patrick’s Day Parties . Make sure to ask about upcoming events when you check-in!